The Steele Syndicate were the surprise packet of Gum Ball 2017, taking to the stage in the early afternoon of Saturday and bringing the crowd to life with their irresistible, brassy hooks. With hundreds of people queueing to get their signature after the show, it was evident that these Brisbane lads stuck a chord. Now they return for PigSty in July. 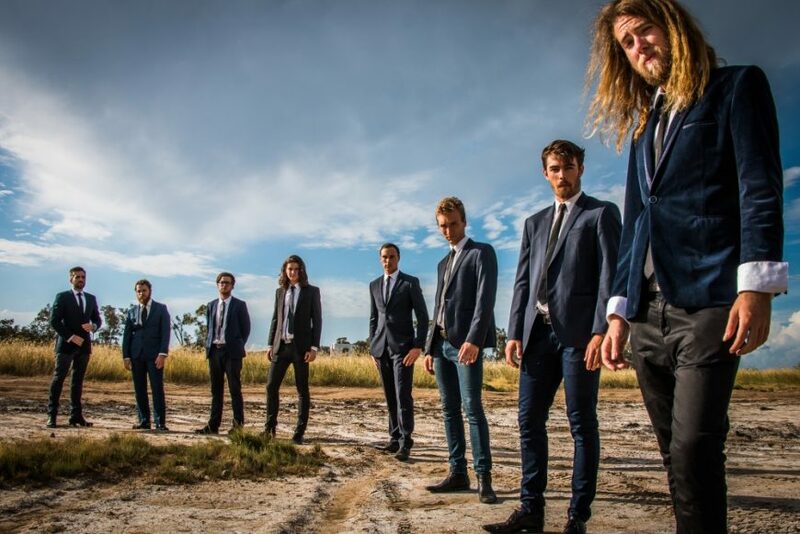 An evolution of Steele McMahon’s solo work, the septet has an eclectic, genre‐bending sound that reimagines elements of old-school funk, reggae, ska and indie rock. Rich vocal harmonies blend with a roaring, three‐piece horn section to create music that is energised and emotional, for dancing breathlessly and for pondering deeply. The band is quickly making its mark on the scene in Brisbane and beyond. Packing the punch of its acclaimed live set into a record, The Steele Syndicate released its debut EP Antipodes in 2016. Expect to be dancing up a storm with The Steele Syndicate take the PigSty stage.